Enable your customers' security teams to focus on the most serious threats and free up network bandwidth through automated threat detection and blocking. In addition to scanning billions of IP addresses and URLs, and millions of domains, the Webroot platform has collected huge troves of data on file behavior. This allows for near real-time detection of malicious files and never-before-seen malware based on contextual analysis. The result is more of the threat intelligence you need to keep your business safe from the potential avenues of attack. Scroll down or click on a service to learn more. The world of malware is changing. Today, the vast majority of malware is designed to evade detection through polymorphism. Traditional and network-based security approaches are too slow and ineffective at catching these types of threats. With Webroot BrightCloud® Streaming Malware Detection, businesses can analyze files as they enter the network, catching malware before it spreads. As malware continues to proliferate, corporations of all sizes need additional layers of defense within their security infrastructure to stay a step ahead. Network-based malware detection technologies can easily be overwhelmed and bypassed. 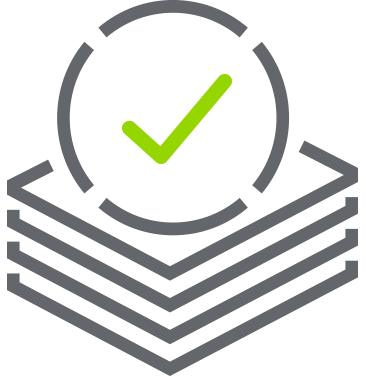 But the Webroot BrightCloud® File Reputation Service can quickly identify malware and trustworthy files so potential threats can be investigated quickly and efficiently. Integrate machine learning threat intelligence to protect against known and unknown malware. Contact us to learn more or request a demonstration.